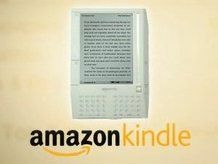 The Amazon Kindle, designed to help propagate e-books, is set to be relaunched later this year in a bid to boost sales, as reported earlier on Techradar. According to a source speaking to Crunchgear, Amazon wants to push the device harder in the markets, opening it up to a wider range of consumers. Two new Kindles will be launched as part of the revamp, the first coming around October. This is likely to be fairly similar to the first iteration in terms of screen size, though with a smaller footprint and a better interface. The second, due likely next year, will be larger than the first and second models at around 11in screen size, possibly to cater for younger readers as it will come in a variety of colours. Despite the first generation of the device being dubbed a success, e-books are still lagging way behind their paper-based counterparts.